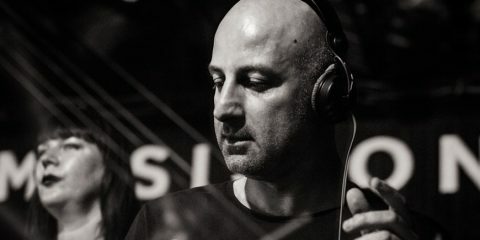 International Music Summit (IMS) is an educational leadership platform dedicated to the appreciation of electronic music. 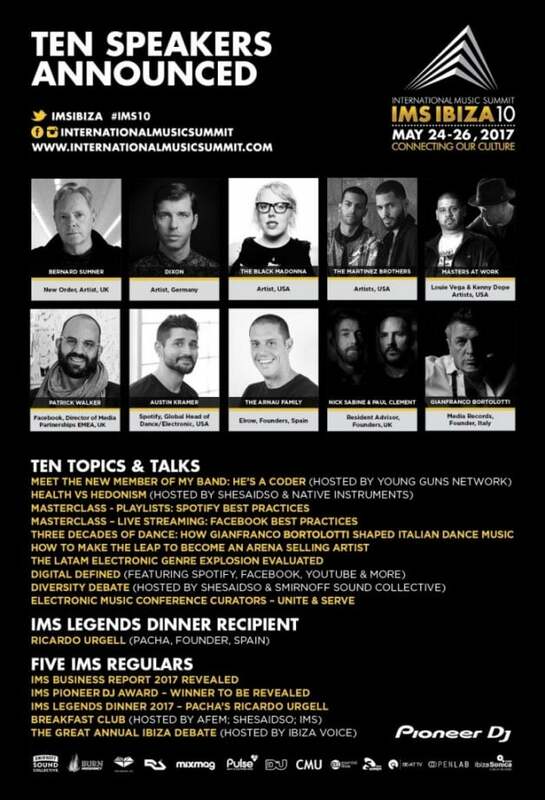 With events in Los Angeles, China and Malta, IMS’ flagship Ibiza Summit has now named its first selection of speakers and topics for 2017. 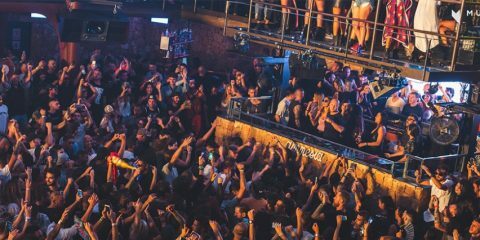 Paying homage and marking 10 years of connecting the culture, IMS Ibiza’s 10 keynotes will come from Bernard Sumner from New Order, Dixon, Little Louie’ Vega and Kenny ‘Dope’ Gonzalez, The Black Madonna, The Martinez Brothers, and Elrow’s The Arnau Family. Further conversations surrounding digital presence will come from Patrick Walker, Director of Media Partnerships at Facebook, and Austin Kramer, Spotify’s Global Head of Dance/Electronic. 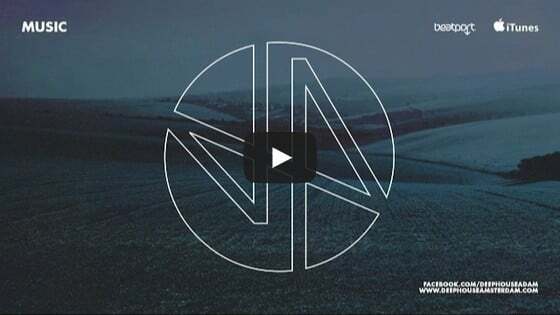 Also will be Resident Advisor’s founders Nick Sabine & Paul Clement, with one of dance music’s most legendary ambassadors Gianfranco Bortolotti. Of course there’s so much more to the event, just head over the website at the link below to check out all the details on panel conversations, the Business Report, Legends Dinner, and more.